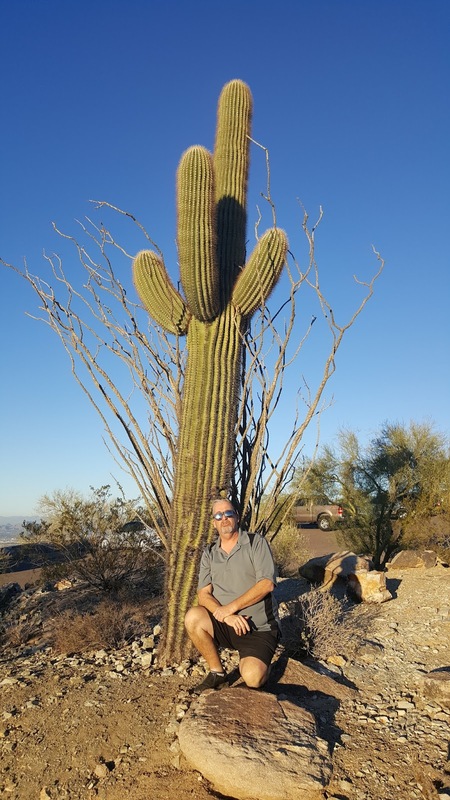 Ed took this photo of Gary, who was meeting a saguaro cactus for the first time. He was very interested in some of the facts about these giant plants. Their form is so tied to the image of the desert region of Southern Arizona that it's probably what most people think of when you mention the wild west. Well, after cowboys and indians!